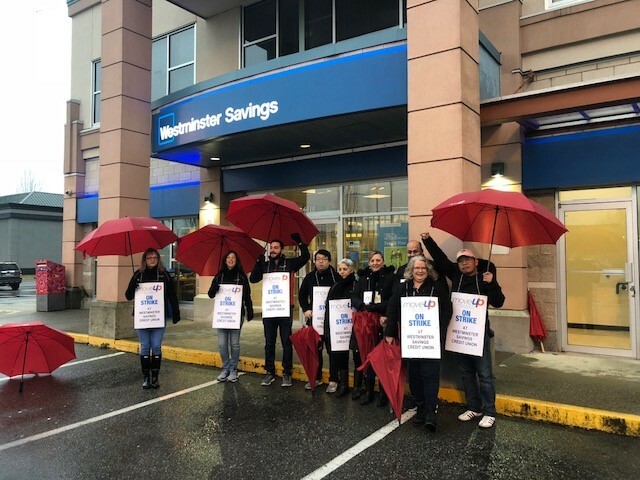 Workers at Westminster Savings Credit Union’s Shaughnessy Station branch walked off the job on Tuesday, January 22 and set up a picket line. The workers have been without a collective agreement for over two years and the employer has been unwilling to move off a proposal that will significantly impair these workers’ retirement security and create inequity in the workplace. You can help support these workers by telling Westminster Savings Credit Union that their workers deserve to be treated with respect and dignity.